A year ago, muscle man Jordan Yeoh took to the streets of Petaling Jaya to help an auntie sell durians. His kind gesture made him a household name in Malaysia. Yeoh was seen opening durians while showing off his ripped body, much to the delight of customers passing by. But hey, Yeoh isn't just your typical eye candy. He is also an acclaimed fitness coach! That's right. The 29-year-old has been churning out wellness and fitness regimes for quite awhile now, so all of us can have a shot at a well-toned physique. He even released his own app called "JY Fitness Timer". 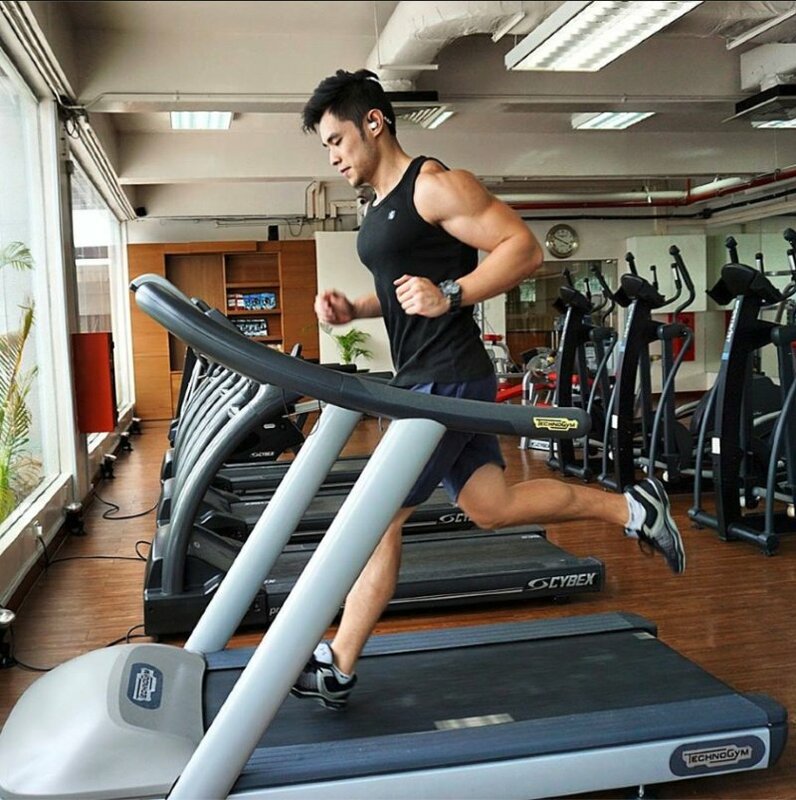 The simple interval training app Yeoh is designed to make your exercise sessions seamless and efficient to keep you focused on achieving your ideal figure. The app is available on iOS and Google Playstore. And no, he didn't pay us to write this, LOLs. 1. Check out this full body work out that can be done anywhere. No gym needed! 2. Say goodbye to fats! 8. Time to get rid of that beer belly! 10. Can you pull off this 4-minute intense workout? 11. 4-minutes is too long for you? It's alright, there's a 3-minutes regime too! 12. Hey, it's not just abs! Spend some time building your chest too! 13. Don't skip leg day! You don't want a pair of sticks for legs right? 14. How long can you plank? 16. Know what you're benching! 18. Your left arm is bigger than your right arm? Maybe it's time to make some adjustments to your workout. 20. Are supplements good or bad for your body? Does it help in your training? 22. Tabata training is a high-intensity interval training workout, featuring exercises that last four minutes. Can you do it? 23. Your diet is very important in muscle building. Know what you should put in to help your body function better! 24. Everyone's favourite question answered. Is it possible to lose weight fast? 25. Last but not least, make sure you have a good posture! All that workout will be in vain if you're always hunching and stressing your spine. 2015 was a year filled with very good looking street vendors. Remember the Taiwanese tau foo far seller?